The 'Junk Man' is right. We do live in paradise, and we are inevitably responsible for taking care of our little nirvana. I had one of those surreal moments last Thursday morning as I stumbled outside of our front porch onto our front lawn. “Good morning, sir. Another day in paradise,” he exclaimed, as he shifted through our beloved recycling bin trying to score a few cents. Stuck on words and trying feverishly to tie my shoelace, time froze as I pondered his comments. I was always curious to how our ‘Junk Man’ did financially, filling his decrepit van with recyclables, but his comments resonated with me for days after I greeted him on his merry way. He was right. We do live in paradise, and we are inevitably responsible for taking care of our little nirvana. Now, tying in this little annotation with my pet peeve of littering, I think I might have a column for you folks. Continuing my commute in rural Surrey, I was just dumbfounded at all the litter strewn throughout the ditches in our so-called paradise. We are not just talking about the odd coffee cup or tin can here but major complete dumps, including drywall, mattresses, television sets, clothing, paint cans and even a fridge. I just can’t comprehend how individuals can have the nerve to pull over on the side of the road and dump their rubbish in our community. We do live in the best place on Earth, but as citizens we have an obligation to keep our natural environment clean of trash. I find this act of dumping garbage despicable, and we as a community should not put up with such profane behaviour. Last year, the City of Surrey spent more than $1 million on cleaning up illegal dumps in Surrey, which is a tremendous burden on our tax base. They have since set up selected ‘Pop-Up Junk Drop’ events at the city’s work yards to help alleviate the dumping. Should it be the responsibility of the city to clean up after our mess? I think not. What can we do if we see someone performing a dump? Mark down a licence plate and a description of a vehicle and report it to the RCMP or the City of Surrey. If you see litter on the ground, pick it up and put it in a garbage bin. An old golf professional I knew quite well always told me to make sure that you leave the respective golf course you are playing in better shape than when you started playing. Perhaps this is a good motto we can all utilize when we go for our next walk in the park? 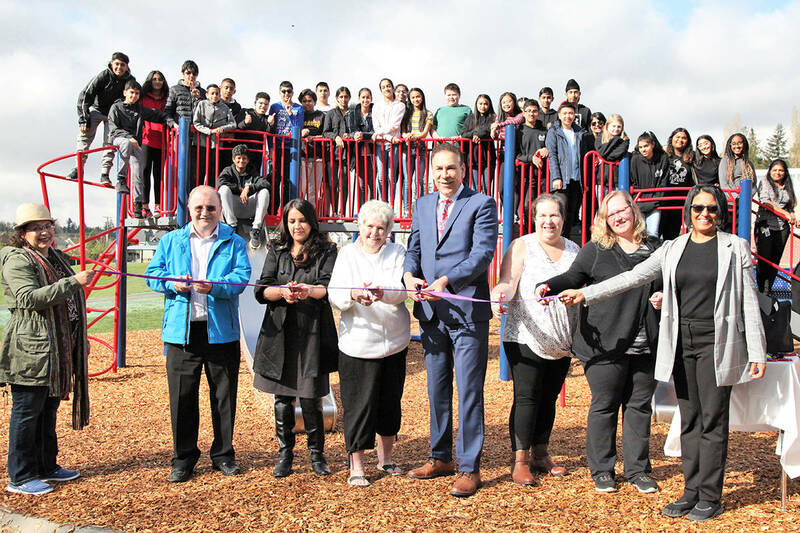 The City of Surrey is a great place to live and play, but we need to collectively be the eyes and ears of this problem and be part of the solution. Let’s take time to recognize and appreciate that we do live in paradise and that it’s our responsibility to keep our community clean. I am grateful that I had the opportunity to bump into the ‘Junk Man’ last week, and I must say he always leaves our recycling and garbage cans clean and tidy after he performs his trade of choice. Dwayne Weidendorf is the publisher of the Now.